So you know you love prosciutto. Who wouldn't? The cured pork makes almost everything taste better with each thin slice. But how creative can you get with this Italian specialty in the kitchen? Very, it turns out. 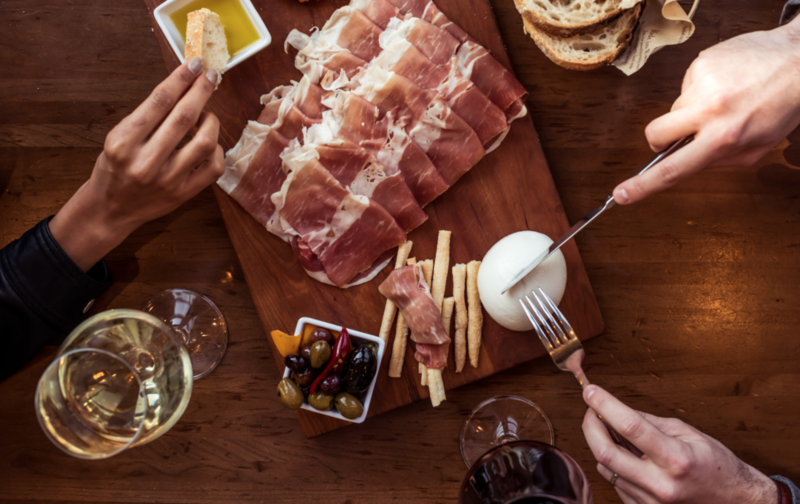 Our chefs showed us five new ways to pair and serve prosciutto. Ask your monger to slice prosciutto to order, or opt for pre-sliced selections (Eataly has special packaging designed to keep it fresh). Delicious on its own, prosciutto is perfect da sola or paired with creamy cheese, like fresh mozzarella. Simply place the slices on a plate, and enjoy. Fruit is a classic Italian pairing for prosciutto; the sweet flavor enhances the savory product. For a classic treat, wrap prosciutto around freshly-sliced cantaloupe, then top with a fresh basil leaf for a beautiful presentation! We also love figs and pears. Add depth of flavor and texture with high-quality extra virgin olive oil. For a simple bruschetta, grill a slice of rustic bread, top with a slice of prosciutto, and drizzle all with extra virgin olive oil. Ready-to-eat skewers are such party favorites! Quarter your favorite ingredients, such as bocconcini, "bite-sized" mozzarella, fresh basil, and cherry tomatoes, and slide a skewer on for the perfect antipasto on the go. Get back to the basics! Fill a baguette with cheese, vegetables, and prosciutto crudo or cotto. Eat a bite, then pat yourself on the back: you just made the tastiest type of panino.